"Ray Kelly has obviously done an extraordinary job in New York and the federal government partners a lot with New York, because obviously our concerns about terrorism oftentimes are focused on big city targets. And I think Ray Kelly is one of the best there is... We've had an outstanding leader in Janet Napolitano at the Department of Homeland Security... We're sorry to see her go. But you know, we're going to have a bunch of strong candidates. Mr. Kelly might be very happy where he is. But if he's not I'd want to know about it. 'Cause you know, obviously he'd be very well qualified for the job." "Ringing endorsement" might be an understatement. Consider, however, that under Kelly, the New York Police Department infiltrated Muslim communities when it spied on thousands of innocent Americans at mosques, colleges, and anywhere else it damn well felt like. The spying was not on account of any criminal charges, but rather based solely on the subjects' ethnicity — undermining the claim that the NYPD only follows leads when investigating terrorism. The program is all sorts of problematic — even before you take into account that informants were paid to bait Muslims into saying inflammatory things, and the NYPD also conducted surveillance on Muslim Americans far outside its jurisdiction. And guess what? According to the AP, in its six-plus years of spying, the NYPD never generated a lead, or triggered a terrorism investigation. 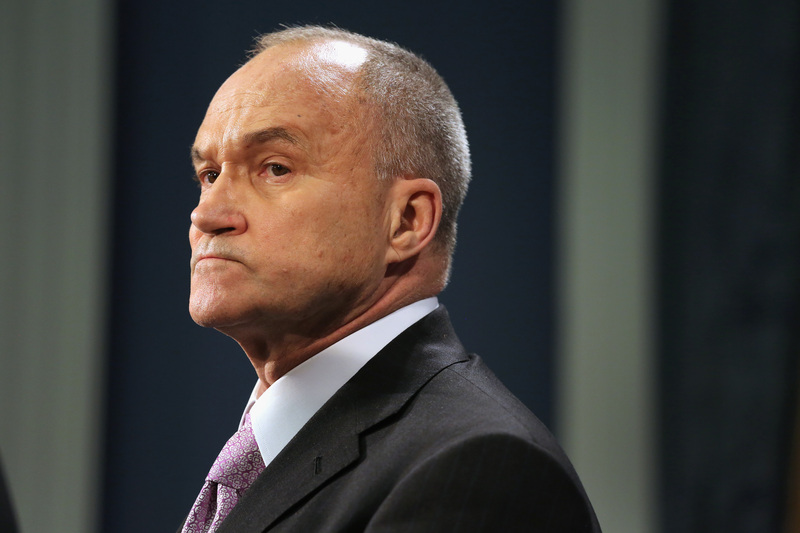 Kelly is also a proponent of New York City's "stop and frisk" policy, and has even said that the policy's intention is to "instill fear" in minorities, who combined make up 83 percent of those targeted by the practice. If Kelly were to become Department of Homeland Security Chief, his appointment would mark a far cry from President Obama's Senate days, when he advocated on behalf of Russ Feingold's End Racial Profiling Act of 2007. Watch this video from The Nation, which plays a young man's recording of his stop and frisk experience, and features testimony from an NYPD veteran who describes a captain who told officers, "We're going to go out there and violate some rights."